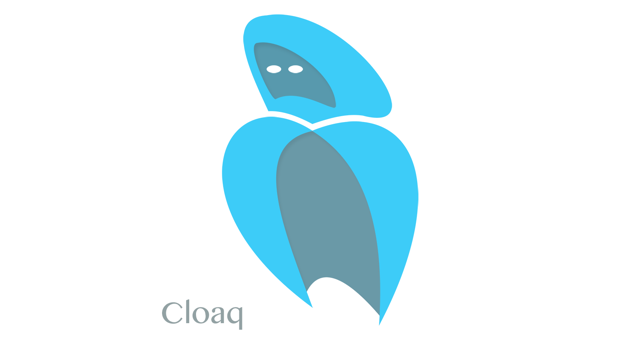 A team of engineers, who have asked to not be identified by name, are working to develop a new platform for anonymous posting called Cloaq (pronounced “cloak”). This upcoming web and mobile platform, they tell me, will combine the anonymity of apps like Secret and Whisper, with the ease-of-use of more public platforms for sharing, like Twitter, Medium or WordPress. The team has sent me several lengthy and mysterious emails detailing their project, but I told them that I couldn’t, in good faith, cover them, unless I knew who they were, and why they were qualified to build such a thing. Though I’ll stick by my agreement to not reveal their names, what I can say is that the team at Cloaq are not seasoned startup veterans hailing from the Valley, but rather a group of engineers whose backgrounds include both senior and consulting roles within larger organizations where they couldn’t have fudged their technical capabilities. Their decision to hide their names is more of a gimmick, it seems. Yep, definitely not seasoned startup guys here. Unlike other anonymous movements like Anonymous (with the capital “A”), Cloaq is not just the title given to a loosely defined organization that anyone can join. Instead, despite Cloaq’s attempt at (ahem) cloak-and-dagger intrigue, the company sounds like your usual startup. Engineers quit their day jobs to build something they’re passionate about. They even have some initial funding from private investors. The product the engineers have in mind is interesting, though the actual execution has yet to be revealed, and could easily make or break this thing. Like anonymous “social” apps, Cloaq will allow users to post content, which appears in the timeline of those following you. This isn’t entirely different, on its own, from something like Secret, but there are a number of other features that make Cloaq sound unique. For starters, the anonymous posts can be of any length, and can be tagged with a category for searching and sorting. Of course, you can be pseudo-anonymous on blogging platforms today, especially on Tumblr, which is already home to a number of “anonymous” personalities, including some of those in the tech industry would know, like Startup L. Jackson or that angry Jesus Christ, Silicon Valley guy (gal?). However, what Cloaq says would be different on its platform is that it won’t even collect users’ email addresses or phone numbers at signup, like Secret or Tumblr or Twitter or anyone else these days, would do. Instead, with Cloaq, you simply enter a password and get assigned an @id number, which serves as your handle of sorts. And if you want to publish something that’s totally cloaked, you can choose to not even have your @id number associated with it. It will still show up in the streams of those who follow you, though. These numbers will start at @alpha1 and go through @alpha9999 before moving on to @beta1 through @beta9999, and so on. The co-founder adds that while Cloaq can handle password resets via security questions, those who forget their Cloaq ID could be out of luck, which is why they’ve tried to simplify them. Like blog posts, Cloaq posts can have a title, photo and content, though the title and photo are optional, which lets Cloaq work for long-form and short-form content alike. There will also be standard features, like a Popular section, favoriting and flagging functions, and comments among other things. To cut down on abuse, Cloaq will have a no-tolerance policy for racism, prejudice hate speech, and threats. Users’ accounts making those sorts of posts will be immediately frozen. “We designed this platform to give intelligent people a way to speak their minds freely,” explains a co-creator. “We want to give people a way to really be their true selves, and express their true beliefs, ideas, opinions and suggestions without the natural reservation that comes with living in the public social media age, and worrying about what their friends, family or followers will think of them, or how they will be judged,” he adds. In theory, it sounds like the time could be right for a service like Cloaq, as the shift to mobile continues amid the fallout from exposure caused by putting our personal info in the hands of social networks, which were later mined and archived by governments, it was revealed. But simply building an “anti” public social network is not enough, as a number of services in the past, including the Diaspora project, or alt Twitters like Identi.ca and the earlier version of App.net, have previously shown. Cloaq, however it turns out, will still have a lot to prove. Especially since they’re playing the tease. A demo should be available in a few weeks, and will be made available on web and mobile, initially as an iOS app. Stay tuned.